General Motors sent out urgent letters last night to owners of 2003-2004 Pontiac Vibes and Saab 9-2Xs, cautioning them against letting anyone ride in the front passenger seats until repairs can be made, as part of the ongoing Takata airbag recall. It doesn't get any worse than this for a manufacturer. The letters are being sent out overnight to owners of the cars in high-humidity areas, according to Bloomberg. When exposed to a high-humidity environment, airbags manufactured by Takata can explode with so much force that they turn some of their components into flying metal shrapnel. In one case, a victim bled to death in front of her children. In another, police thought a victim's death was a homicide. We should also probably note that GM has advised consumers not to allow front-seat passengers, but has not told owners of its vehicles to stop driving them. It's not clear as to the source of the discrepancy, as the driver's position features an airbag as well, but if we find out, we'll let you know. Cars from Toyota, Subaru, Honda, Nissan, Mazda, and BMW have also potentially been affected by the deadly airbag recall. As we've noted before, it's a problem that Takata and other manufacturers (including Honda, specifically) have known about for a decade, but just now is something being done about it. We'd advise you to check with the NHTSA website to see if your cars are specifically among the recalled, but as of this writing the site is still down due to overwhelming demand, and besides, we're not really sure NHTSA does anything, anyway. What Does America&apos;s Auto Safety Regulator Actually Do? The Vibe and 9-2X are both based off of Japanese designs, from Toyota and Subaru, respectively, and both use airbags made by automotive supplier Takata. 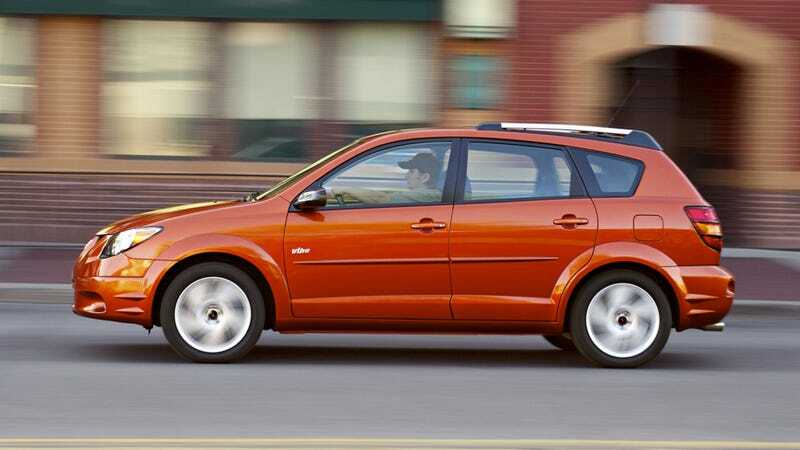 The Vibe was produced in partnership with the Toyota Matrix, and the Saab was based off of the Subaru Impreza. GM owned a large stake in Subaru until the mid-2000s.